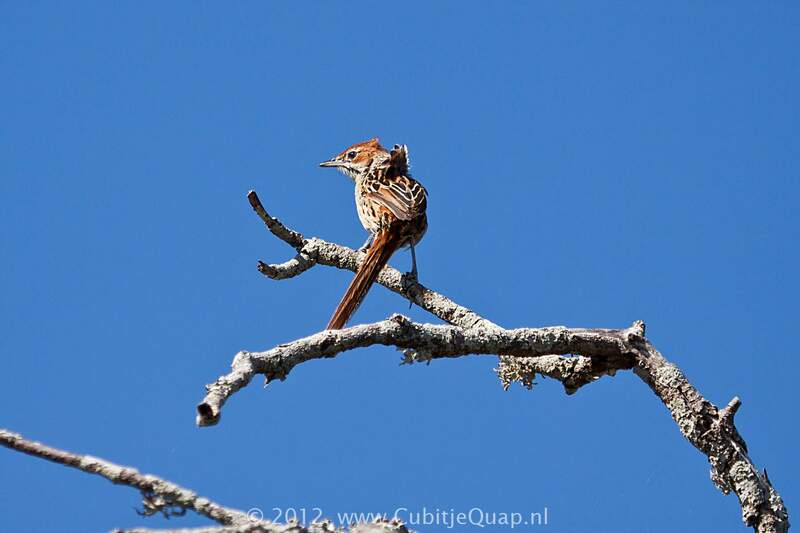 The long, pointed, straggly tail, chestnut cap and black malar and moustachial stripes are diagnostic. The heavily streaked back and the pointed tail eliminate confusion with Moustached Grass-Warbler. 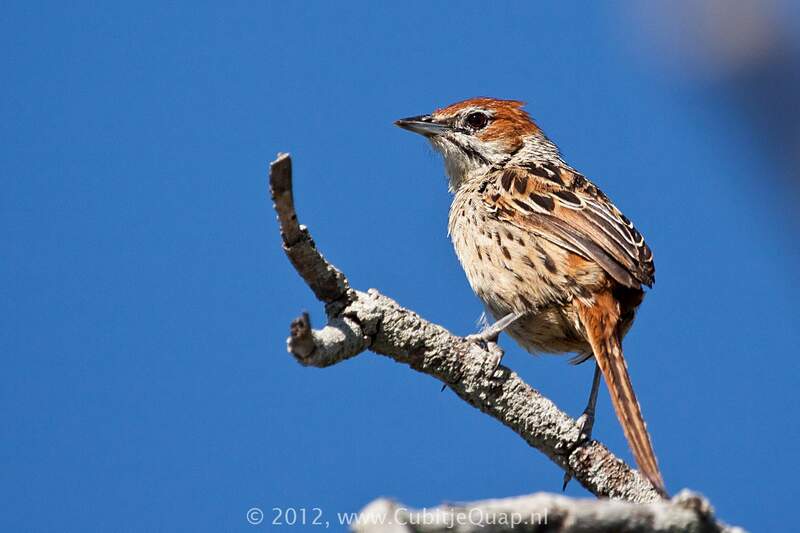 It is much larger than any cisticola. Juvenile has streaked cap and is duller than adult. Coastal and mountain fynbos; long, rank grass on mountain slopes and river valleys. A nasal 'pheeeoo' and a langled, musical song.